Prestigious lift lobby. 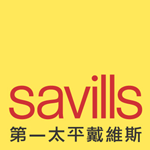 Adjacent to Sheung Wan MTR station, HK-Macau Ferry Terminal and Airport Railway Terminal. False ceiling, light panels and carpet material provided. Panoramic seaview and city view.